Some OUKITEL Mobile Phone User Manuals PDF above the page. 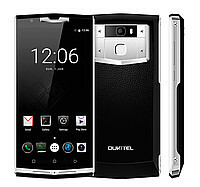 The company Oukitel represents a new brand, producing popular mobile devices with a bright and modern design. The brand is oriented to the world market, and therefore seeks to improve its intellectual devices, simultaneously making them available to consumers on all continents. The products of the brand are oriented first of all to the younger generation. The manufacturer wants to enter the Top 3 brands that produce smartphones on a global scale. In addition to smartphones, Oukitel produces "smart" round and square watches. Thanks to a price of $ 70 and excellent characteristics, these devices have great success with the consumer. The watch is compatible with devices running iOS and Android. Functionality includes the ability to send voice messages, heart rate monitor, mobile software management, receive and send notifications and so on. The watch is made of stainless metal, and their display is covered with a protective sapphire crystal. Mobile devices of the company have always been famous for their strength and their high quality, despite the democratic price policy, which in fact makes them representatives of the budget segment. In July, 2016 model K4000 has passed the test for durability. 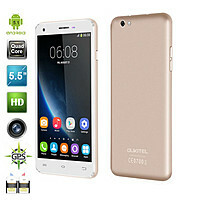 The manufacturer has equipped this smartphone with excellent technical characteristics. The gadget is positioned as a protected device, and therefore Oukitel themselves subjected it to testing. Read - OPPO Mobile Manuals PDF & History.